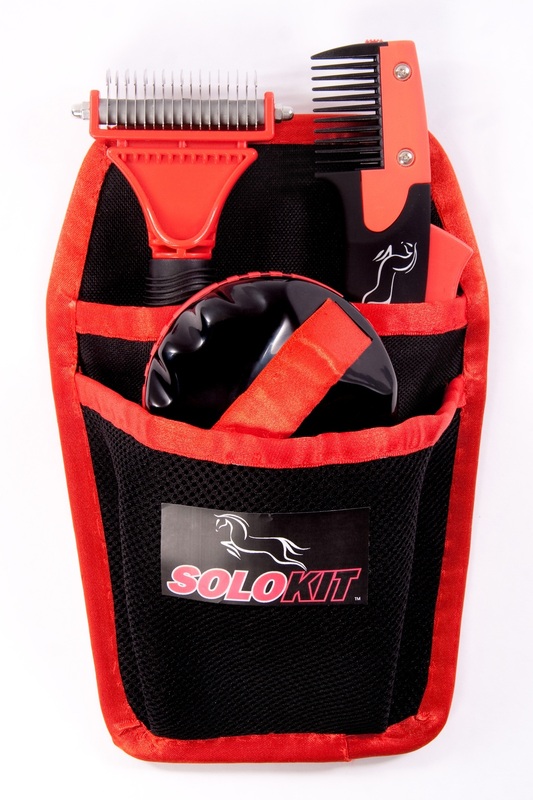 The Solo Groom SoloKit contains the SoloGroom range of grooming products in a clip-on holster which can easily be attached to your pocket, belt or waistband as you groom your horse or small pet. Each kit contains the SoloComb, SoloRake and the SoloBrush. There are currently no questions for Solo Groom SoloKit Grooming Kit - be the first to ask one!